Recycle is our name, Redpsycho Llama B&B. 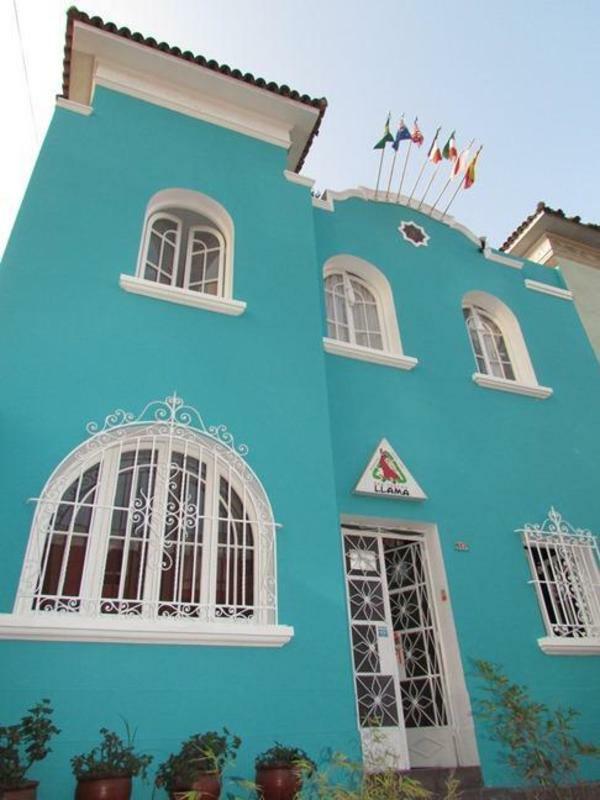 'The ecological choice' for a sustainable stay in Lima according to Lonely Planet guide. Our guests love our location, just one block from Kennedy park in the heart of Miraflores. And our friendly staff and team will be happy to help you in everything that you need. We believe in reducing the impact of tourism and travel on the environment, making your experience in Peru even richer. We not only make sure to recycle and reutilize but we have made it our theme to decorate using recycled materials when possible. During your stay here, you will taste our delicious and creative free breakfast, join us in our weekly eco activities and our ventures into the city, such as night visits to the oldest Cemetery of Lima, walking tours of the bohemian district of Barranco including a little bar hopping, visits to the Colonial City Centre and the Magic Water Circuit and more. You'll also be able to learn how to cook Peruvian food and make Peruvian drinks! And for quieter evenings we'll have Poker Nights, EcoMovie Nights and BBQs! Some other services we offer include: laundry, transportation to and from the airport, and guided city tours with one of our very own receptionists. At the Red Psycho Llama Bed & Breakfast we'll make sure your time in Peru will be unforgettably fun and as environmentally conscious as possible. We are located in one of the safest areas of Lima, just one block away from restaurants, banks and stores and from Park Kennedy in Miraflores. Ask us for our transfers to and from the airport.